Your day, and possible overnight on the Zolotaya, gives you and your fishing partner access to an entire salmon river, 5 km approx, and the chance to change to a little rod – maybe 9′ and lighter tackle and to adapt your tactics to the smaller and shallower river. Sometimes standing well back from the pool, always fishing quietly and carefully can reward you with sea bright grilse or good strong MSW fish from a variety of pools and glides. In the little birch valley below the lake where the helicopter usually drops you there are often fish in the small pockets and the first deep pool is a near certainty for more than one providing you can land your fish without disturbing others.. You can take your time fishing on down until you get to the tent camp where ever smiling Misha will be waiting to offer hospitality and news of fish, weather and reindeer/bear sightings. The Home or Russia pool has to lay claim to be the best salmon pool on the Kola Peninsula judged on volume of water to weight of fish taken from it. Some spend all day, and night there, perhaps crossing to look down from the little cliff to the fish lying in the taking place by a rock or relaxing under the trees and taking your time to fish the pool once more. There is plenty more below the Russia pool, indeed you may well be taken out of that pool by a strong fish necessitating a sprint down the gravel to the pool below. There are several long stretches, a very interesting pocket above the rapids where cunning needs to be employed and on down to the sea pool from where you can be picked up and flown home along the coast to the mouth of the Rynda. The tent camp provides proper beds and warmth and always the temptation to slip out and fish some more until the ride home for breakfast. Obviously this is a most popular side adventure within the weekly rotation at the Rynda lodge. 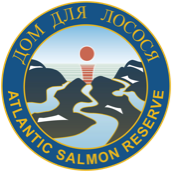 The Zolotaya is a very special little – Big salmon river! Intimate in its character and often generous with its rewards, it is possible to find 20+ pound salmon lying within its tiny pools. The largest Zolotaya salmon landed in the last two years was a 30 pounder. The largest salmon ever recorded from this little river was 37 pounds.